MUMBAI: They say that music is the healing force of the universe. The pioneer of Indian rock music, Euphoria has aptly adopted this saying for their upcoming single, Main Hoon for One Digital Entertainment's original web documentary series called SOS - Survivors of Suicide airing on YouTube and other social media handles. Releasing on the occasion of World Music Day for SOS, Euphoria as band is very keen on spreading awareness about the issue of mental illness via music and giving World Music Day a deeper meaning. The music video of Main Hoon which was shot in just 15 days, will have montages of uplifting and heartfelt real life stories of four survivors from the ongoing docu-series which is a prominent part of a more unifying endeavor that SOS is. The song came to Palash Sen as an answer when he was in one of the darkest phases of his life. With an attempt to spread positivity, the song speaks about self realization and aims at inspiring people who fight mental illnesses to find their own identity in this world and embrace it while not losing hope. 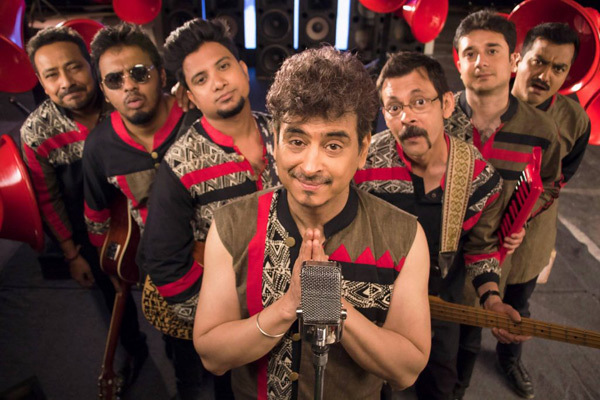 Talking about the song, Palash Sen said, “I have been battling an entire system that does not support no film music. I have been doing it for 20 years now and the fight take a toll! Since childhood, I was always that shy kid; the social misfit. This song was my reassurances to myself that people like me belong here. This song was my light at the end of the tunnel. I have been to the brink of giving up and have come back because of my family, my band mates and the dhoomers and Euphorians around the world. That is why when Gurpreet at One Digital Entertainment sent me these episodes one night and I sat and went through all of them, these individuals and their stories moved me. Their fight and the positivity they found amidst the chaos inspired me. I called up Gurpreet and told him I wanted to do something for SOS. And this song found it's home. As a musician, I have always tried to heal through words. This is my humble contribution towards those in the society, who have made me what I am, but have failed to see what they themselves are. MUMBAI: Shankar Mahadevan Academy (SMA), a world renowned music school founded by singer and composer Shankar Mahadevan, on World Music Day announced a partnership-with Maharashtra Mandal Singapore (MMS), to offer Indian music programs to students in Singapore. MUMBAI: Touted as the most inspirational rapper, singer and songwriter, Dino James has once again given the youth their next motivational anthem in his latest song ‘Unstoppable’. MUMBAI: Yappily, an app-based social network for shopping brought 20 thousand+ visitors with its biggest offline event ‘Flea Market Concert’ in association with OMPCL in the Garden city of India, Bengaluru. MUMBAI: Euphoria band led by lead singer Palash Sen was at Resurrection 2K16, raising spirits and setting the stage on fire!